Geranium Orders – 2016 !! It’s that time of year again where you can earn some money for your troop account and sell Geraniums! The Geraniums the troop sells are grown locally from Skagit Valley and grow really well down here in Olympia. People end up buying them year after year. 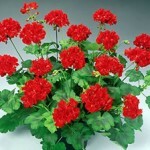 The Geraniums will be ready to be picked up the week of April 11th. So get busy and get your orders now. Plan on turning in your orders the week of March 24th. I’ve attached an order form you can use to help in your selling.